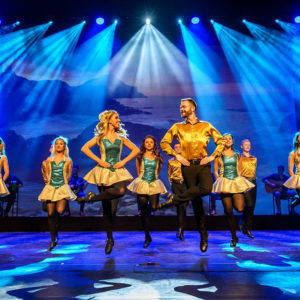 This two-hour dance and music extravaganza contains a wealth of talent derived from all areas of Irish life.The show includes the same large cast of step dancers, live musicians, amazing Irish singers and a sean-nos dancer. The 2019 Rhythm of the Dance tour will feature new choreography, new costumes, new music, fresh multi-media. Returning audiences will be delighted. The new show is an inspiring epic, still reliving the journey of the Irish Celts throughout history with a new script. Using the traditional and modern arts of dance (ballet, modern dance, jazz) and music, this richly costumed show marries the contemporary and the ancient. Combining traditional Irish dance and music with the most up to date stage technology, the show is a thousand-year-old story executed with all the advantages of the modern day stage show.